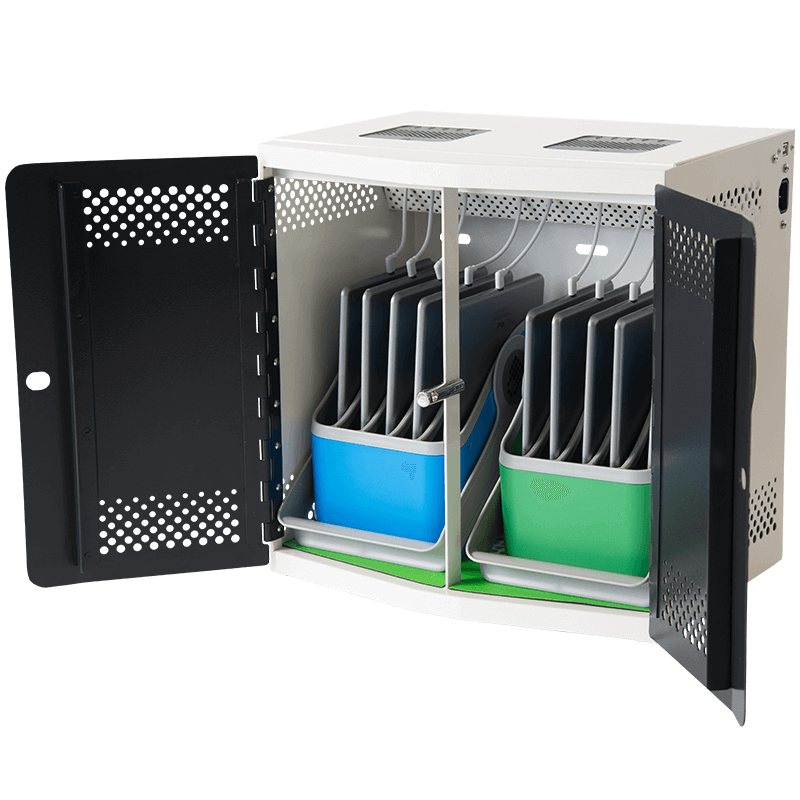 The FUYL Cell charging locker by PC Locs are designed to individually store, charge and secure Laptops, Chromebooks, Mobile phones, Tablets, iPad devices or any other mobile electronic device. It features two USB ports and a power outlet, making it compatible with just about any device. 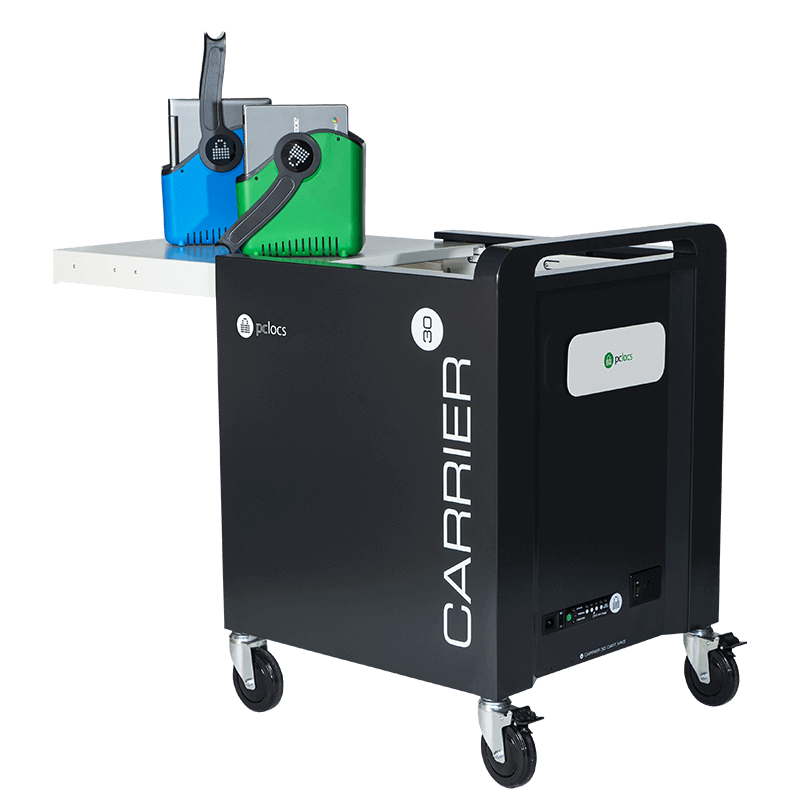 The FUYL Cell charging lockers combines innovation, strength and versatility to deliver a truly revolutionary BYOD and one-to-one storage and charging solution. No Stress. Safe and Secure. 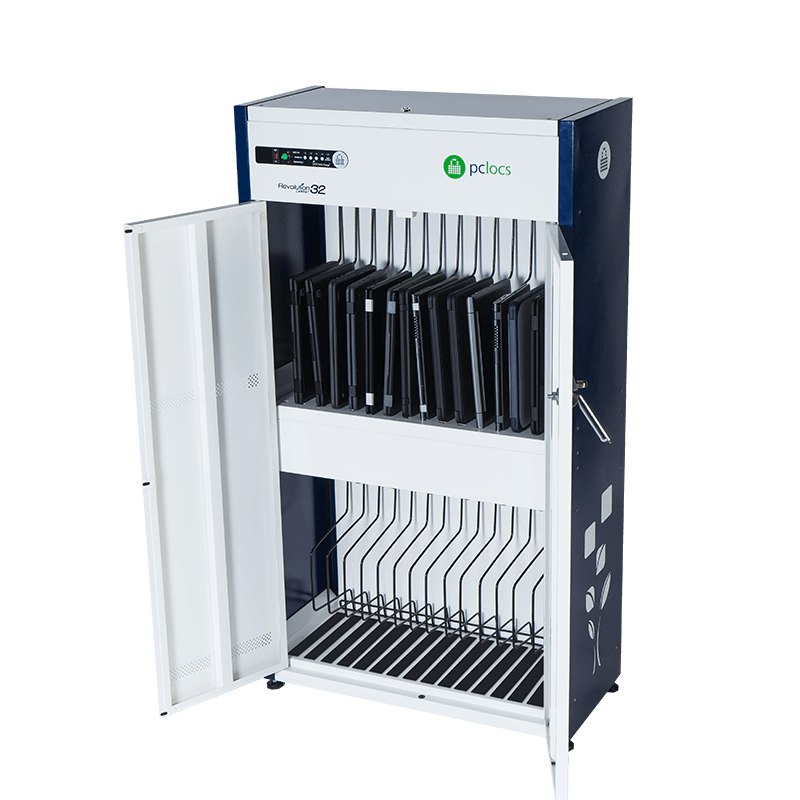 Our robust FUYL Cell charging lockers are designed to secure valuable mobile electronic devices such as iPad devices, laptops, cell phones and more. 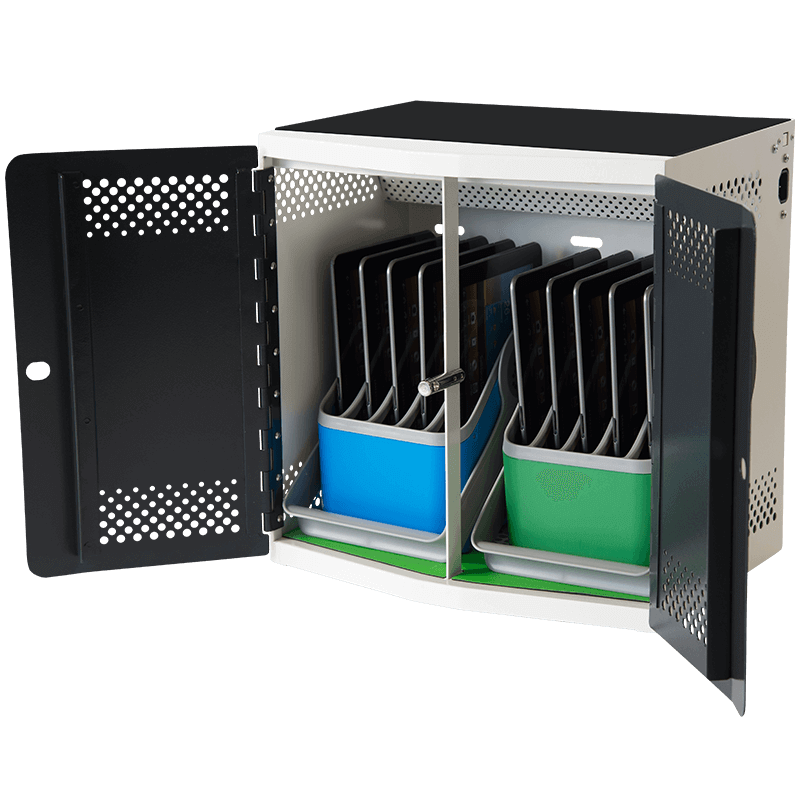 Each Cell has five individually lockable compartments. Secure charging. 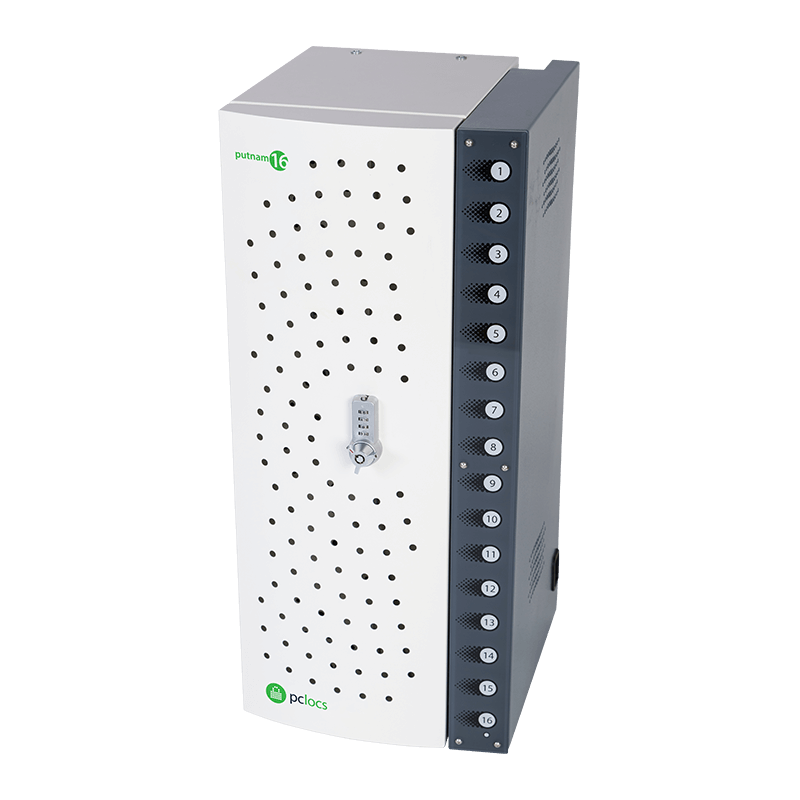 Create a secure charging facility in any environment with PC Locs FUYL Cells. 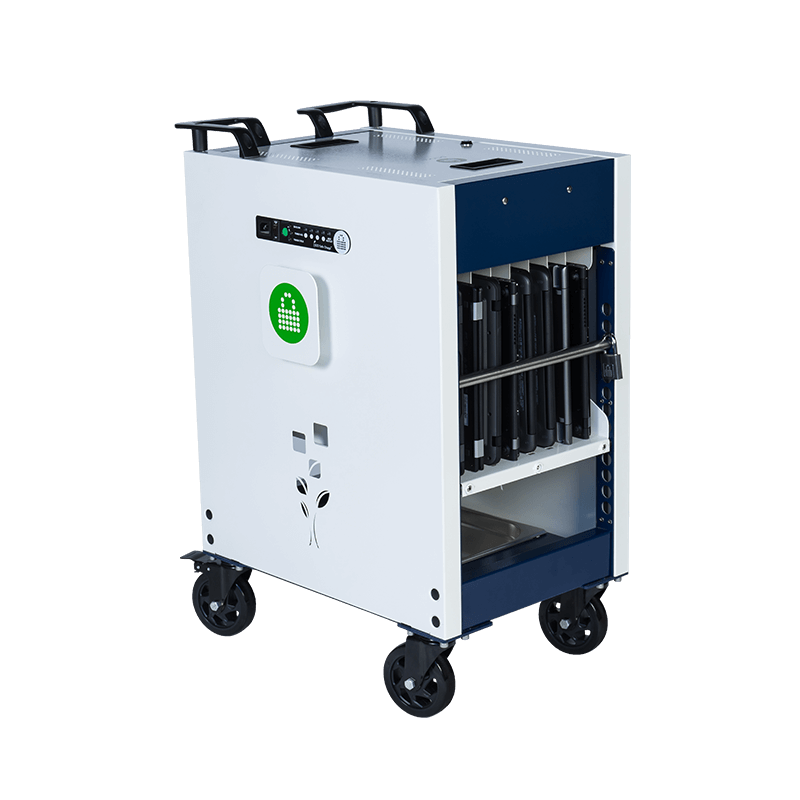 Perfect setup for schools, universities, convention centres – anywhere mobile electronic devices are used. Modular and scalable. Mount the FUYL Cells on a wall or stack them. It’s your choice. FUYL Cells are designed to adapt to your space. Fully ventilated. No worries. 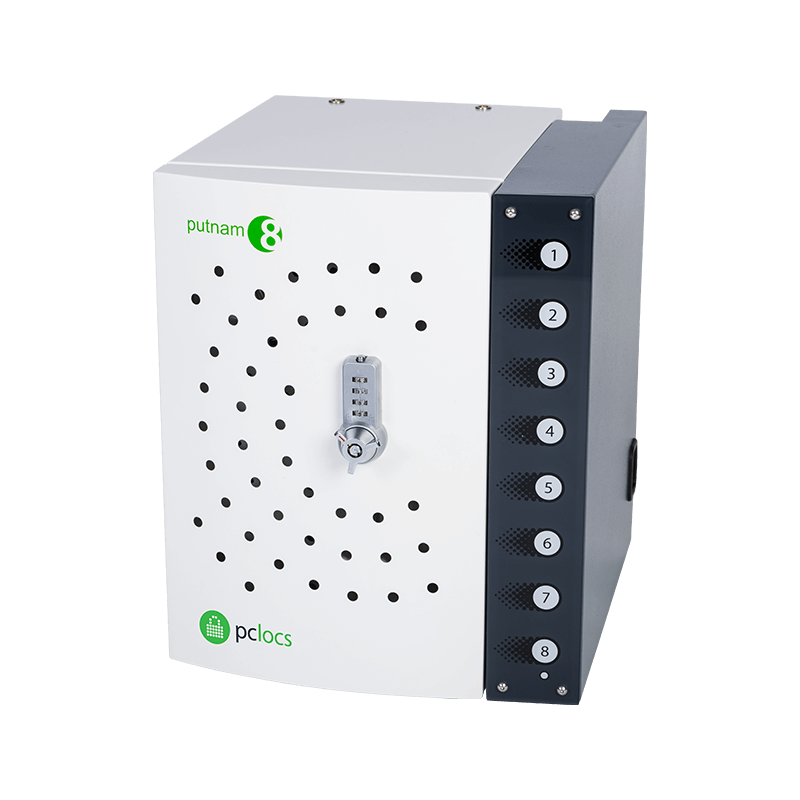 Uniquely designed for passive ventilation to minimise heating during charging. Easy to use. Works just like a hotel safe. FUYL Cells come with digital locks for individual use 24/7. Customisable to your needs. Available with a variety of different locking options and in four different colours (red, white, blue and charcoal). Highly compatible. Charge almost any device. 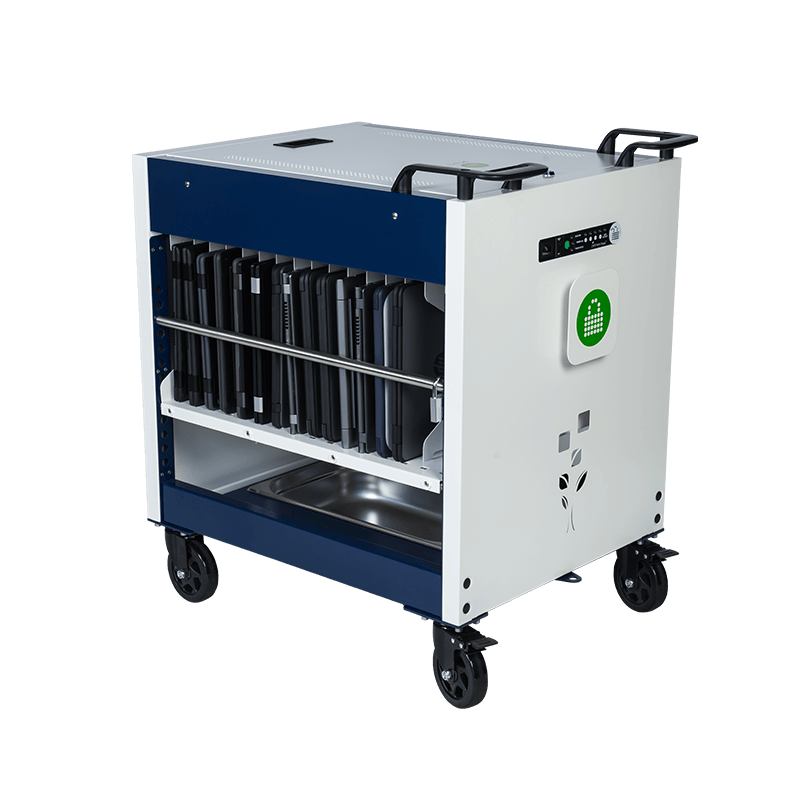 Each compartment is fully equipped with a mains supply power outlet and two USB ports. Planning on stacking your FUYL Cells into columns? We recommend that you add a Pedestal to elevate them off the floor. This will provide easier access to the bottom compartments. Digital locking (PIN Code), Keyed Cam Lock and Padlock ready Wing Lock. PLEASE NOTE: FUYL Cell is sold without locking option. When ordering, please specify which locking option you require.